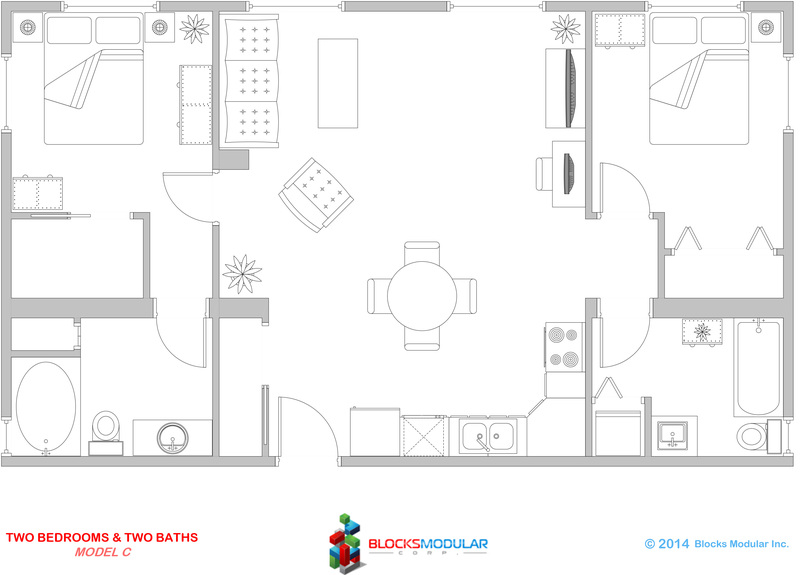 This two bedroom/bathroom model is perfect for student/staff accommodations and affordable housing. Model C is designed with the roommate concept in mind. It is a symmetrical module offering nearly identical rooms for both tenants with a spacious living room/kitchen.